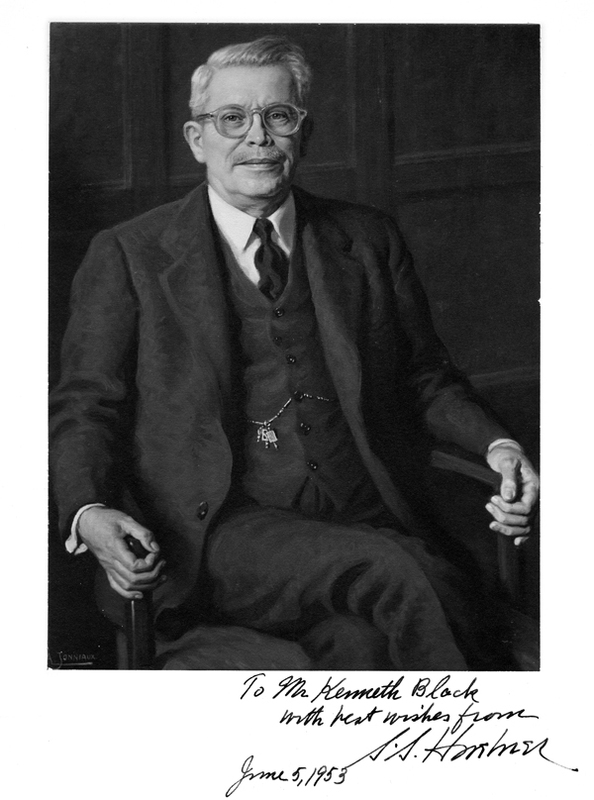 "the father of insurance education"
In 1940, leaders in the insurance industry and the University of Pennsylvania collaborated to develop a solution to the inadequate supply of collegiate professors, research and publications on important issues related to the burgeoning fields of insurance and risk management. The founders observed that of the 384 instructors teaching 584 college courses in insurance and related fields in 1940, only 38 were full-time teachers with at least half of their teaching load in insurance and risk management. In response to this teaching shortage, the founders created the S.S. Huebner Foundation for Insurance Education in 1941. The founders named this new joint enterprise after Wharton professor, Solomon S. Huebner, whose life’s work was focused on the advancement of insurance education. In 1904, Dr. Huebner taught the first organized course on the economics of insurance ever offered at the collegiate level. His courses were so popular that insurance was accorded departmental status at the Wharton School in 1913, making it one of the school’s oldest departments. There were no textbooks in insurance until Dr. Huebner wrote pioneering texts on life insurance, property insurance and marine insurance. While at Wharton, Dr. Huebner also founded both the American College in 1927 and the American Institute for Chartered Property Casualty Underwriters in 1942. Given Dr. Huebner’s dedication to insurance education, it was not surprising that the founders decided to name the Foundation in his honor. In 2012, the Huebner Foundation relocated from the Wharton School to the Department of Risk Management and Insurance at Georgia State University. C. Robert (Rob) Henrikson is former chairman of the board, president and chief executive officer of MetLife, Inc. (NYSE: MET), a leading provider of insurance, annuities and employee benefit programs. MetLife counts over 90 of the top one hundred FORTUNE 500® companies among its corporate clients and is the largest life insurer in the U.S. and Mexico. MetLife also holds leading market positions in Japan, Latin America, Asia Pacific, Europe and the Middle East. In July 2010, Henrikson was appointed by President Barack Obama to the President’s Export Council, the principal national advisory committee on international trade. He is the former chairman of the Financial Services Forum and of the American Council of Life Insurers. Subsequent to his retirement from MetLife he continues to serve as chairman of the S.S. Huebner Foundation for Insurance Education. He also serves on the boards of Invesco Ltd. and SwissRe Ltd.
Henrikson received a B.A. from the University of Pennsylvania and a J.D. from Emory University School of Law. He currently serves as a trustee of Emory University. He resides in Connecticut with his wife of more than 35 years, Mary. They have two sons and four grandsons. Tom Hardy has been in life insurance company senior management positions since 1973, including President, CEO of Mayflower National Life and Chief Operating Officer of Provident Life and Accident. He is Chairman, President, CEO and primary shareholder of Unity Financial Life Insurance Company which is based in Cincinnati Ohio. Unity Financial is licensed in 47 jurisdictions and has been ranked by Inc. Magazine as the fastest growing privately owned life insurance company in America for the last six years. Tom Hardy is on the Executive Committee of the Board of the Cincinnati Symphony Orchestra. He is a member of the Board of Advisors for the University of Kansas Business School. He is a Board member and past president of the Cincinnati Fire Museum. Jeff Katz is Managing Director – Life & Health Products Hub Head for the Americas. Jeff joined Swiss Re in April 2011 as Head of the Marketing Actuaries for US Life & Health. He has twenty-five years of experience in life and health reinsurance. He spent the first ten years of his career on the primary side, designing and developing individual life and annuity products. Jeff is a Chicago native who received both his Bachelor of Arts in History and Juris Doctorate from the University of Illinois. He is a Fellow of the Society of Actuaries and a member of the American Bar Association. He has been a member of the ACLI Reinsurance Committee and the SOA Reinsurance Section Council. He currently volunteers on the Council’s LEARN (Life Education and Reinsurance Navigation) initiative. Donna Kinnaird is a financial services professional with over 30 years of experience in leading global insurance and reinsurance businesses. Recently retired, Donna served as Chief Operating Officer of Reinsurance Group of America, Incorporated (RGA) of Chesterfield, MO, a Fortune 300 company, engaged in global life and health reinsurance. Subsequent to her retirement she serves on the board of the S.S. Huebner Foundation and the board of the New York Life Insurance Company. Donna graduated with a BS in Accounting from Indiana State University and an MBA from Butler University. She is a Certified Public Accountant (CPA). She and her husband Stephen live in Athens, GA. They have four adult children, located from Los Angeles to Hong Kong. Michelle Moloney is the Chief Risk Officer at Protective Life Corporation. She is responsible for leading the Company’s Enterprise Risk Management (ERM) program by providing advice and oversight of enterprise risks. Her responsibility includes risk oversight around insurance, actuarial and products, credit, trading and hedging, market, interest rate and equity, operational, regulatory, and reputational. Ms. Moloney earned a joint Honors Bachelor of Mathematics at the University of Waterloo and attained a Fellowship of Society of Actuaries and Canadian Institute of Actuaries designation. She is also a Chartered Financial Analyst charter holder. James Moore is a managing director of the PIMCO Newport Beach office. He is head of the investment solutions group and leads their global team of pension solutions strategists. Prior to joining PIMCO in 2003, he was in the corporate derivative and asset-liability strategy groups at Morgan Stanley and responsible for asset-liability, strategic risk management and capital structure advisory work for key clients in the Americas and Pacific Rim. Dr. Moore also taught courses in investments and employee benefit plan design and finance while at the Wharton School of the University of Pennsylvania, where he earned his Ph.D. with concentrations in finance, insurance and risk management. He has 22 years of investment experience and holds undergraduate degrees from Brown University. Richard D. Phillips was appointed the seventh Dean of the J. Mack Robinson College of Business at Georgia State University in July 2014. He is also the C.V. Starr Professor of Risk Management and Insurance. An expert on risk management, Dean Phillips has produced more than 50 scholarly publications. He has received several research awards, including twice receiving the Robert I. Mehr Award given to an article judged to have had the greatest impact on insurance economics 10 years after publication. Beyond the university, Phillips is a corporate director at Munich American Reassurance Corporation and a senior consultant with Charles River Associates. He is president of the American Risk and Insurance Association, past- president of the Risk Theory Society, and he serves as a trustee for the S.S. Huebner Foundation for Insurance Education. Phillips serves on non-profit boards for the World Affairs Council of Atlanta, and he chairs the board of trustees for The Swift School - Georgia’s largest private school serving dyslexic children. Phillips’ doctoral and master’s degrees in managerial economics are from the Wharton School. He graduated with honors from the University of Minnesota with a B.S. in Mathematics. William Rabel is John & Mary Louise Loftis Bickley Endowed Teaching Chair in Insurance and Financial Services at The University of Alabama and faculty advisor for the program in Insurance & Financial Services, Risk Management, and Actuarial Science (IRMAS). During his first four years on the faculty of The University of Alabama he was recognized with the following awards: Alabama Finance Association Outstanding Faculty Award, John S. Bickey CBA Creativity and Innovation Award, National Alumni Association Outstanding Commitment to Teaching Award, American Risk & Insurance Association Excellence in Teaching Award. Active as a strategic planning consultant and facilitator Dr. Rabel has served as chairman or a member of the strategic planning committee of several organizations, including the American Society of CLU, the American Risk & Insurance Association, the Association Internationale de Droit des Assurances, U. S. Chapter, and the International Insurance Society. 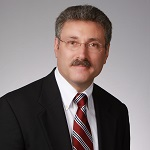 Stan Talbi Stan Talbi is an accomplished senior executive with over 40 years of business and corporate experience in all areas of insurance. Most recently, he served as MetLife’s global chief risk officer from 2011 until his retirement in August 2017. With expertise in financial and risk management, pricing and underwriting, and asset/liability management, and as the former chief risk officer and chief actuary of a fortune 50 global insurance enterprise, Mr. Talbi has the expertise and knowledge to successfully guide corporate strategies by asking the right questions and ensuring possible adverse outcomes are well-understood, managed and/or avoided. A credentialed actuary (FSA 1977), Mr. Talbi majored in mathematics at Queens College in New York, graduating with high honors and membership in Phi Beta Kappa. Mr. Talbi has been a panelist or speaker at rating agency conferences (Moody’s and S&P), analyst investor meetings (JP Morgan), regulatory conferences (NAIC and IAIS) and industry conferences (Risk America). Stephen H. Shore is a professor of risk management and insurance in the Robinson College of Business at Georgia State University. His current research interests are the determinants of mortgage and credit card default, income dynamics, income risk, and intra-household risk-sharing. Dr. Shore received his undergraduate degree from Princeton University and graduate degrees from Harvard University. He spent four years on the faculty of the Wharton School of the University of Pennsylvania and four years on the faculty of the Johns Hopkins University economics department. He has served as a Deputy Assistant Secretary of the Treasury in the Office of Economic Policy.